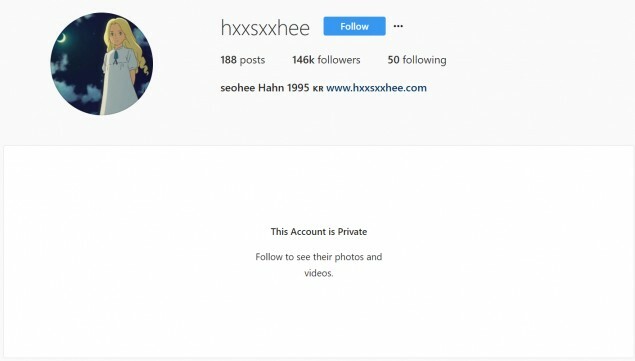 Han Seo Hee�has turned her Instgram�page back to private. 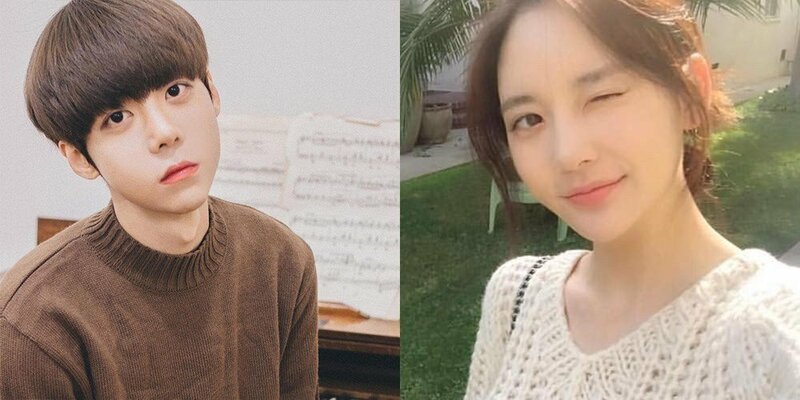 Kang Hyuk Min�posted an answer to Han Seo Hee's response from yesterday, and revealed not only that she said she hated controversial feminist site Megalia�(where many of her followers are from), but also, that she had asked him to cancel his lawsuit against her. "Hello, all the people who are working hard to terrorize me through side accounts and anonymous accounts. Are you having fun hiding behind anonymous accounts and picking at every word? Get a grip on reality. Do you know why you're just all gathered on Instagram? Yeah. It's easy to make anonymous accounts and side accounts, right? Why are you only active on those kinds of accounts? What are you so scared of... Why can't you be confident... Well, even if I don't say it out loud, I'm sure you know the reason why you're hiding more than anyone else. It's hard to live as keyboard warriors. You always have to toss away your name and your pride, as well as your conscience. Yesterday, many people got confident again after Han Seo Hee left me a reply on my Instagram. The reason why I haven't responded to her DMs is because she was so two-faced from her public posts (like the post where she was winking and said she would bear with it because she was pretty) when compared to her DMs, so I didn't think I could have a sincere conversation with her. And I don't have a duty to respond to her conversation and it was easier to talk through lawyers. 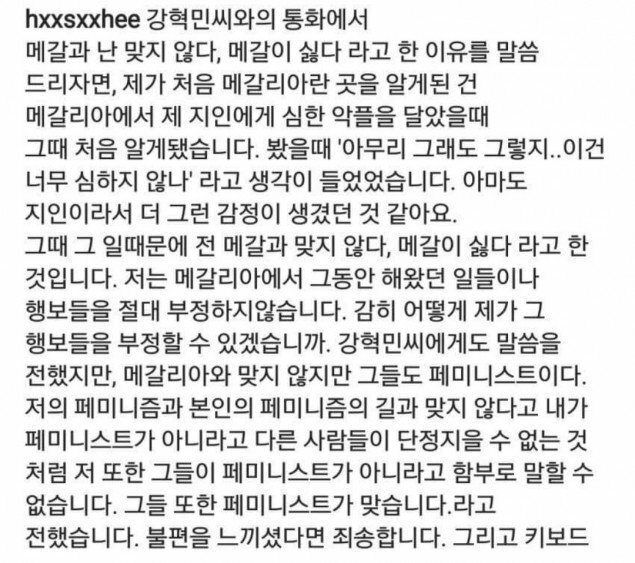 However, I realized that many people, including Han Seo Hee, was mistaking things, so I responded to her. She wanted to talk on the phone, so I did that as well. So this is a summary of what Han Seo Hee and I said, and an answer to everyone who has been coming at me because of her reply. First, you keep talking about the 'first blow', but doesn't Han Seo Hee do the same? Is it okay for her to throw the 'first blow', but it's not okay for anyone else to talk about her? I'm curious why you erase the things you did from your memory. Also, what I did is not a 'first blow'. I'm sure all of you know all the belittling and sexually harassing posts she had made for men. As a Korean man, I had replied to her posts roping together and belittling Korean men. What exactly is the 'first blow' here? If the posts belittling all Korean men are not the 'first blows', then what are? She said that those posts were not for 'normal' men like me, but then I asked what the meaning of 'Hannam' was, and she said 'Korean men'. It's very ironic. So I told her that if she still thinks that I threw the 'first blow', then she could say so during her testimony. But now that I'm thinking about it, I never threw the 'first blow' to all the people leaving hate comments, but I'm getting hit by the 'first blow' from all of you. What is your identity...?" "Secondly, let me talk about the settlement fees. You're trying to make it so that money is my goal, but you'd be surprised at how little people fall for that. You'd see from my previous posts, and I've always chosen to donate. You are saying you are changing the world through hate comments, but I wanted to show you that you cannot change the world as keyboard warriors. And I wanted to show you how to actually change the world, so I chose to donate. Also, I already showed my lawyer what I said about the settlement fees, but I already said I would donate the fees, so there is absolutely no problem there. Also, if I decide not to settle, the topic is already null. Also, someone already tried to sue me for blackmail through settlement fees, but the reality was that the prosecutors refused the case. Can you tell? How baseless the things you say as you belittle are? I feel so sad watching you. You must have many thoughts. Also, Han Seo Hee said that I mocked her, but I don't think so. I was replying to the actions and words she said. Mockery is her specialty, and when she said she was mocked, I was at a loss for words. She is someone who posted lies and tried to bury me through physical and mental pain. So I thought she still hadn't faced reality when she told me I was wrong and that I'd mocked her. However, through the call, she asked me to cancel the lawsuit, and apologized. To be honest, I'm someone who is not very trusting because I started society at a young age, so I wondered if she would have apologized if I didn't sue her. I also thought she might have let me die and get buried with the hate comments. But I was sincerely thankful that she confessed a lot of things to me. 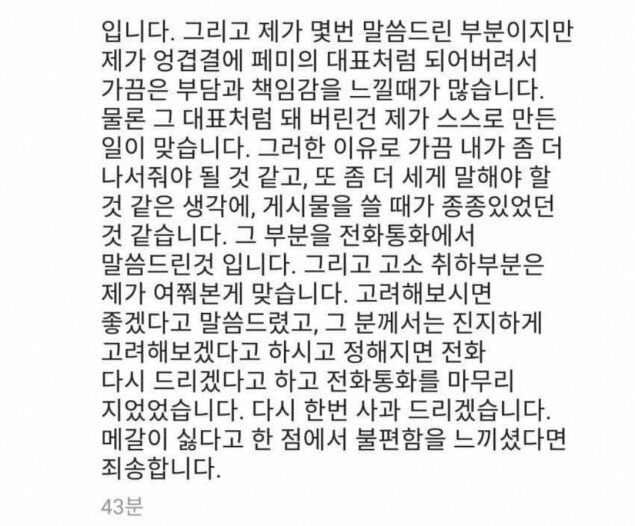 But as I told Han Seo Hee as well, and as I wrote myself in the post about the suit, I do not believe this suit is the problem between just us two, but rather to stop all keyboard warriors and to protect the future of women, so stopping would be difficult. Han Seo Hee herself admitted to some extent that she did not have good influences on people or children. She also told me to sue more keyboard warriors that were terrorizing me. She also added that she was different from what people call 'Megalian', and that she also hated those 'Megalians'. She also confessed to be that some of the things she did was out of the burden of being labeled the representative of that movement. I guess it's sad for those of you that had supported her. Idiots. The suit is already taking place, and it'd be difficult to cancel it like Han Seo Hee requested, and my will and determination has not changed from what it was in the beginning. 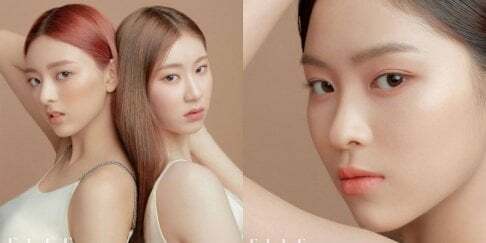 However, my lawyer and I have decided that we will be watching Han Seo Hee's actions for a bit to see if she was telling the truth, and if she was truly sorry." As I've also said multiple times before, sometimes I feel burdened because I've suddenly become something like a representative for feminism. I know that it's also through my actions that I became this way. Because of that, I felt like I should go out a little more, and that I should speak more strongly, and many of my posts were like that. I told him that through the call. And it's true I asked him to cancel the suit. I told� him that it would be nice to cancel, and he told me that he would think about it and told me that he would call me again if he decided so. I apologize once again. If you felt uncomfortable because I said I hated Megalia, I'm sorry." "It wasn't easy to tell him I would be thankful if he would consider cancelling the suit. I thought about it so many times, over and over again. I asked my lawyer so many times as well. But first of all, I thought it was right to apologize, and I asked my lawyer about settling. My lawyer told me that if I wanted to apologize or if I wanted to ask Kang Hyuk Min about settling, I should go ahead. To be honest, at that moment, I still had doubts. I thought about it so many times even during the call. But when he told me over the phone, 'You know it's dangerous, right? ', I got scared, so I asked him about it at the end. I understand you feel disappointed and betrayed by me. I'm sorry." She has currently set her Instagram account to private.